MADLY is spreading Christmas joy with the MAD 12-day Christmas countdown giveaway. 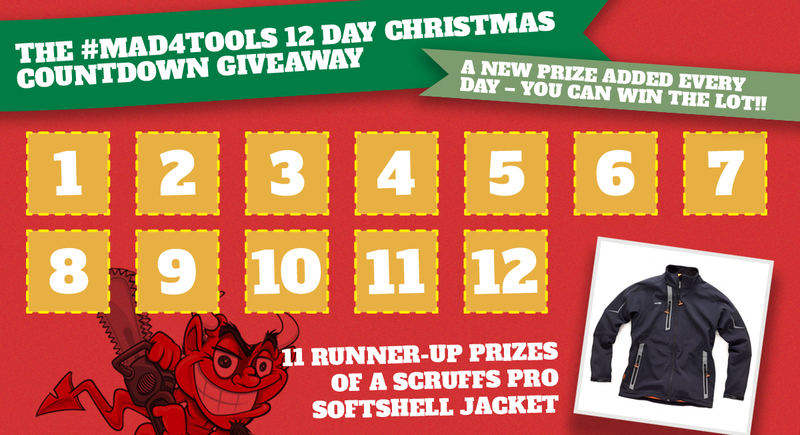 We’re giving away 11 Scruffs Pro Softshell Black Waterproof Work Jackets once a day in the lead up to Christmas! And that’s not all! By entering you’ll be in with a chance to win our bumper prize worth over £1,200! With products from Scruffs, Van Vault, Rhino and Defender, what are you waiting for? MAD4TOOLS reserves the right to amend, vary or cancel this competition at any time.